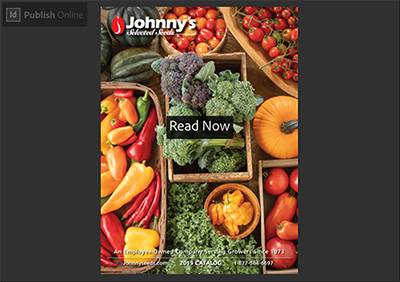 Browse and shop Johnny's online catalogs from your desktop computer, laptop, tablet, or smart phone. 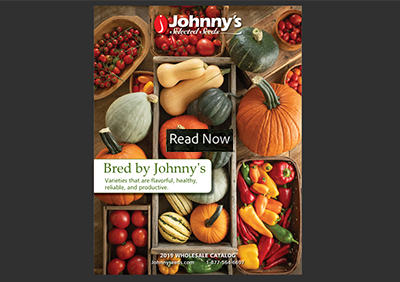 We offer each of three catalogs in two different versions — first, a high-res interactive version for easy online use; and second, a lower-res PDF version for easy downloading and printing. We also offer a key to the two types of corresponding menus. Note that loading times will vary depending on your internet connection speed. This file is recommended for online viewing. See below for a low-resolution version for easier downloading/printing. Interactive hyperlinks on all product numbers, pointing directly to the product's page on our site for further review or purchase. Full-page display on desktop, laptop, tablet, and smart phone. Pop-up videos throughout the book for a closer look at products while you're reading about them. Thumbnail toggle buttons for easy page navigation throughout all 244 pages. Zoom in and out buttons. Share options for social media and email. Note that loading times will vary depending on your internet connection speed. In order to keep file size low in this downloadable version, this is a lower-resolution file than the interactive version above, so visual quality is also reduced. Here is a low-resolution, downloadable PDF, for printing. Like the online version above, it contains all 244 pages found in our master print catalog! At the base of the page, then click the DOWNLOAD button. This will open your downloaded PDF. You can print from here, or save it to your desktop system for reading at your leisure. 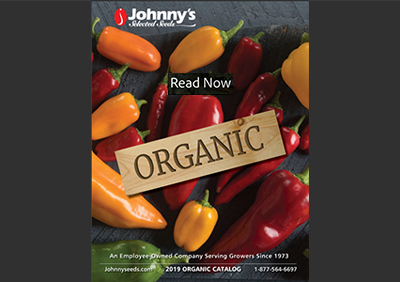 We offer an online catalog listing hundreds of certified organic seed varieties and NOP-compliant supplies for certified-organic production in a high-resolution, interactive form and in a lower-resolution, downloadable/printable version. 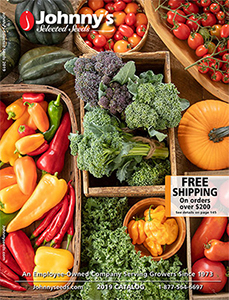 We offer our wholesale catalog in a high-resolution, interactive form and in a lower-resolution, downloadable/printable version. A. Toggle Thumbnails: Show/hide thumbnail dock that displays sequential thumbnails for all pages in catalog. B. Zoom In: Zoom in on current page. C. Zoom Out: Zoom out on current page. D. Full Screen: View current page in full-screen mode. E. Download PDF: Applies to downloadable, printable PDF version only. F. Report Abuse. Provides options for type of abuse and your details. G. Language: Currently displays in English only. H. Volume Controls: Applies to interactive version only.